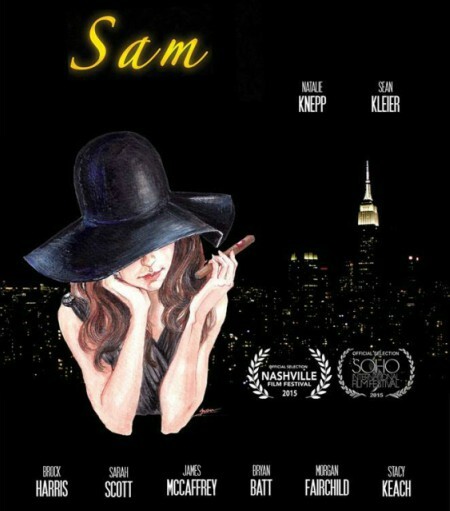 We handled publicity for the New York City Premiere, Los Angeles Premiere and North American DVD and VOD release of romantic comedy Sam, a debut feature from Nicholas Brooks, Executive Produced by his father, Mel Brooks. Sam is the story of a quintessential New York City alpha male who must learn how to be ‘Samantha’ when he is suddenly transformed into a beautiful woman. It’s a story of love and friendship, and what happens when the two collide in the weirdest way possible. It follows the journey of Sam Wellman (Brock Harris), an alpha male and woman hater, and his relationship with Doc (Sean Kleier), his best and only friend. The morning after one very strange night, Sam awakens to find himself transformed into a woman. The wheel of Karma turns, and Sam – now Samantha (Natalie Knepp) – finds herself the object of her lascivious boss’s unwanted affections, whilst her friendship with Doc changes completely. Publicity highlights include Variety, Screen Daily, Yahoo, MSN, HuffPost, Metro, The Record, IndieWire, Cosmopolitan, Female First, Contact Music, Blog Talk Radio, The Fan Carpet, Down Town Magazine NYC, Broadway World, Jewish Business News, Rama Screen, Patch LA and CBS Radio.